Verify the global structural strength of barge WB3. 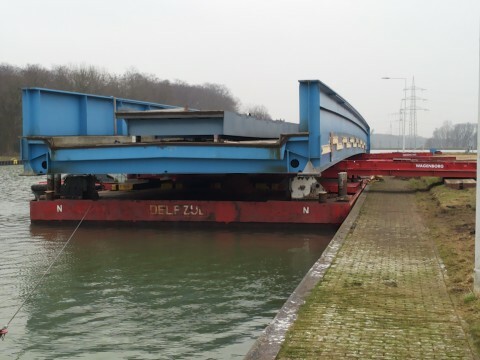 The barge is loaded with a 255t steel girder bridge and is supported near the aft and fore. This results in a hogging moment.